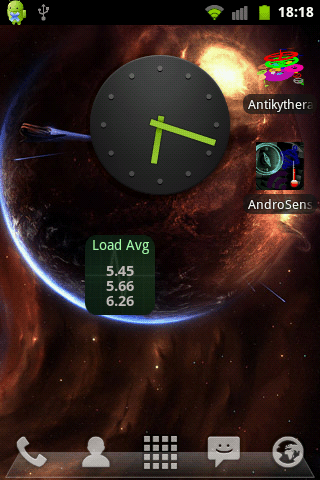 LoadAvg Widget is a simple widget for your home screen that displays your device's load average for the last 1, 5 and 15 minutes respectively. It runs a single service that performs the command "cat /proc/loadavg" and displays the info in the widget. 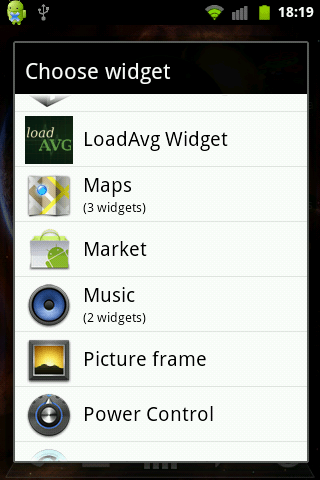 To add the LoadAvg Widget to your homescreen, long press on your homescreen and select -> Widgets -> LoadAvg Widget. Tap on it to restart the service that updates it. If the service has been disposed by the android system or a task killer then you may just tap on the widget to restart it. * This is not an app, to add it to your homescreen long press on your homescreen and select -> Widgets -> LoadAvg Widget. * Don't download if you don't know what Load Average is. I just made this widget for my own convenience and decided to share it. No ads, no permissions so please don't rate bad. - Fix font size, better stability, less cpu usage. - Added compatibility for all screen sizes and all android versions.